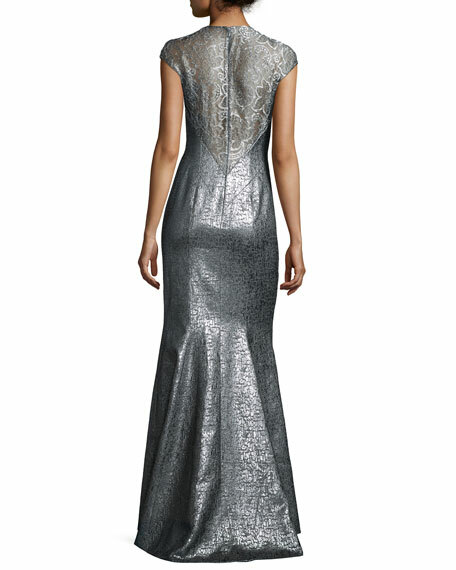 Theia metallic gown with semisheer sleeves and back. Combo 2 and lining, polyester. 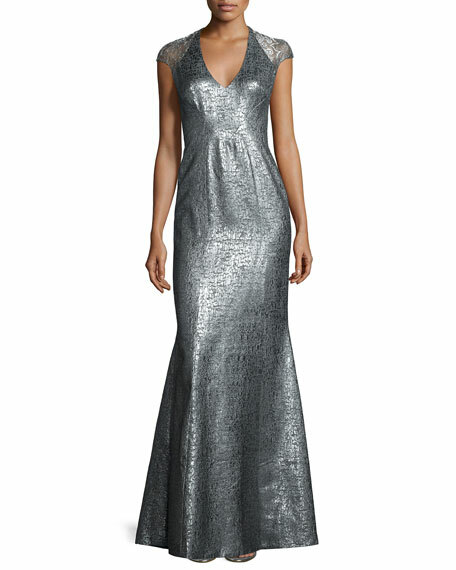 For in-store inquiries, use sku #1567412.